The Rebel Sweetheart. 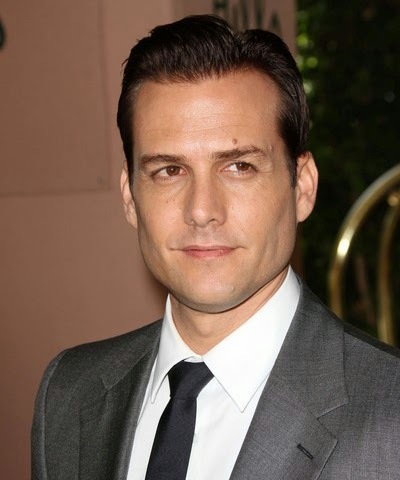 : 'Suits' star Gabriel Macht to visit Ormoc for Project Wonderful. 'Suits' star Gabriel Macht to visit Ormoc for Project Wonderful. Oh yes, you read it right! Another Hollywood star is coming to town - to Ormoc, Leyte, to be exact. Gabriel Macht known the world over as legendary law practitioner Harvey Specter in the provocative television drama 'Suits', is confirmed to arrive in the Philippines on 8 March 2014 to visit Ormoc in the province of Leyte. to raise awareness and financial aid for survivors of Typhoon Haiyan. Its so amazing that Hollywood celebrities really left their comfort zone to visit Tacloban to see how they can help. He's a hunk and even more so with his good heart and desire to help and give attention to the plight of people who needs the basic esentials. I saw him on Lucy Torres-Gomez Instagram page. Congratulations again to Globe Philippines for the humanitarian initiative! I'm glad that help for our fellow Filipinos down south never stops and that even Hollywood stars are very willing to step down and help. Our organization is currently developing various programs, which will cater to the needs of the affected people in the Visayan region; not just those affected by Haiyan but also of the easrth quake in Bohol. Some of them, still, do not have houses to live at. This is indeed another heartwarming act from people who are not even Filipinos and to think that they are world's famous it really gives hope to my fellow Filipino. I like to hear when stars go out of their way to help out. I really don't watch Suits or know who this guy is at all but now I'm a bit curious. He's a cutie! Nice to know they visit the Philippines. I think that its amazing he is doing his part! Project wonderful sounds like an amazing program I'm surprised this is the first time I'm hearing about it!